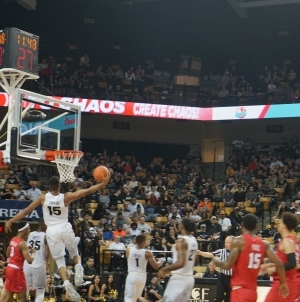 In a big game for UCF (23-6, 13-4 American Athletic) and a special night for the seniors, the Knights came away with a victory after a neck-and-neck battle against the Cincinnati Bearcats. 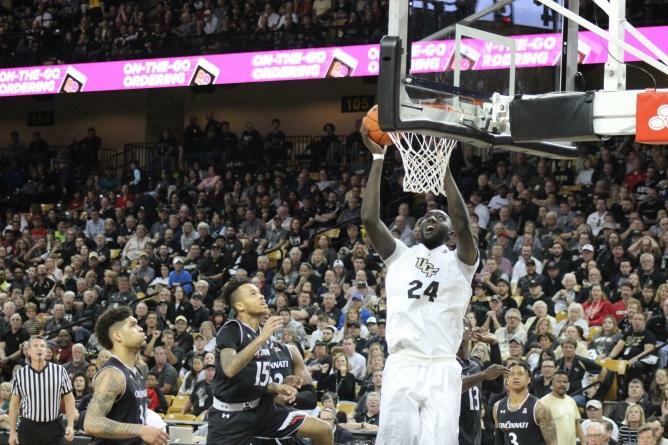 TUCF led for most of the game with good offensive production from seniors Tacko Fall and BJ Taylor. Taylor scored the last 8 points at the end of the second half and finished the game off scoring a total of 22 points. The guard often drove the ball mid-court to the rim for a layup. Fall shot a 5-6 and scored 10 points for the team. Knights started off with momentum and pushed it to the second half. Fall dunked the ball a minute and a half into the game, followed by a 3 from Aubrey Dawkins. Collin Smith, Terrell Allen, and Dayon Griffin held it down on the outside offensively as well. “Just seeing all the sacrifices that we made just pay off is just a great feeling, I can’t describe it,” said Fall. Cincinnati’s (25-5, 14-3 American Athletic) leading scorer of the night was Tre Scott, who brought in 20 points for his team. Next up was Jarron Cumberland who scored a total of 10 points with 5 assists. The two played very good offense, but their team was 6-18 from the 3 point line. 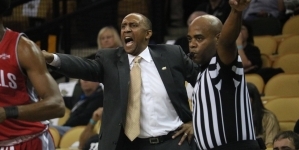 UCF also had 14 total turnovers, which led to the Bearcats missing a chance to score multiple times. CFE Arena was filled all the way up to the nosebleeds, and parents attended in support of their sons senior night. 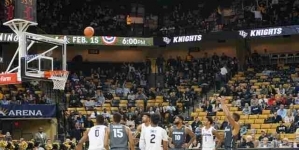 The Knights’ next game will be on Friday against Virginia Commonwealth University as a 9th seed in the 2019 NCAA Tournament. The game will take place at 9:40 pm and be broadcast on CBS. Lakota is a contributor to the Valencia Voice.